With special techniques, cancer can be surrounded with cement, slowing its spread. The cement can often reduce pain from cancer too. Cancers like to eat bone. If the bone is protected with cement, cancer cannot eat it. Cancer can be killed. All cells die when burned. One technique to kill them is with radiofrequency that burns the cancer cells, killing them in minutes. This can decrease pain and slow the spread of cancer. High-pressure blasts of water can be directed at the tumor to safely break it apart and then suction it out of the body. This is similar to the highly pressurized water cleaning systems of pavements or driveways. Cancer can eat away at your bone causing it to become brittle or weak. Then your bones can break easily, causing tremendous pain. We can prevent and treat this. We specialize in the treatment of thoracic spinal disorders, including thoracic spinal tumors, thoracic spine fractures, and mid to upper back and rib pain. Is Cancer Pain Treatment the Right Treatment for me? You may or may not heard of cancer pain treatment. 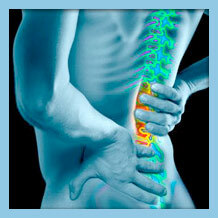 Not many institutions provide this unique service for their patients but for those who are candidates it can provide the pain relief so many individuals suffering from cancer in the spine desperately need. Cancer is hard enough to deal with. Whether cancer originated or spread into the spine, having to live with the pain associated with this terrible condition is something that may be avoidable through multiple options OLSS may be able to provide. If you want to find out more about the process of reducing or eliminating the pain in your spine caused by your cancer, click the button below and fill out the form that follows. Am I a Candidate for Cancer Pain Treatments? If you are certain our unique cancer pain treatment is something you want we are anxious to help get you back to living pain-free or at least with more manageable pain. Before we can begin your cancer pain treatment plan, it is very important that the highly skilled surgeons at OLSS get to know you and your situation better and make sure that you would indeed benefit from our services. In order for us to determine whether or not you are a candidate for our cancer pain treatment options the first step is for you to fill out a short form answering some questions that the doctor will review with you.